Retail Boutiques - Spa Advisors, Inc.
Retail boutiques are a key element to the success of any day spa or salon. Presentation, assortment and client education all play key roles in a salon or spa’s profitability. Too much stock adversely affects cash flow while assortments that are not well presented can send the wrong message to the customer. Developing the right mix, educating your staff and your clients and continually evaluating performance are all keys to your success. Let us work with you on this key classification. Integrating the selling of product into every aspect of your spa is where we surpass competitors. Tried and true techniques allow your staff to “recommend” with confidence and “close the sale” much of the time. Introduction to a huge array of unique retail product vendors, geared to improve retail sell-through. Knowing that retail should represent about ten percent of total sales on the low side — and may represent as much as fifty percent on the high side — it is important to place ample focus on this category. 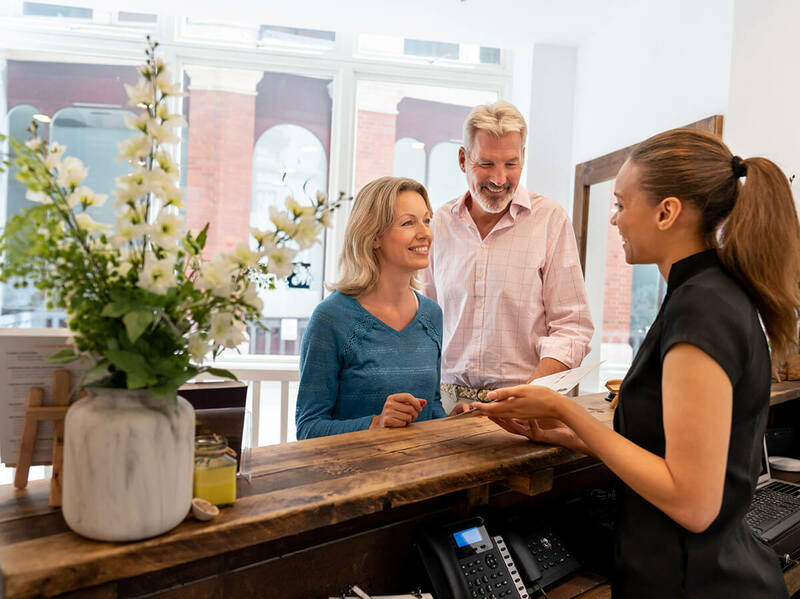 Thoughtful planning, ongoing staff education, current trends, and enticing visual merchandising are just a few components that will play a role in your retail boutique’s success. Do you ask the right questions before you add a new line? Do you think about how it will fit in with your current assortment? What line may it cannibalize and how much in incremental sales and gross margins will it represent? Make sure your retail presentation makes an impact on your customer. Is your environment comfortable and enticing for your customers? Is it convenient and well-planned or does it appear as an unimportant afterthought? Give this classification the space and the attention it deserves. The products sold in this mecca of profit should be visible throughout the spa in locker rooms and in treatment rooms. When we work on your project, you can assure this classification will not be neglected. Contact us for more information about these specialty services. Assisting architectural and design teams with regard to boutique layout, fixture selection, lighting, and other space requirements. Designing your retail space(s) is an integral part of your facility design. Whether you are contemplating a complete renovation of your facility or developing a new facility from scratch, we work with your architectural and design teams to create amazing boutiques and retail stores. This assures a cohesive finished product with seamless integration into your spa, medical spa, hair salon, nail salon or resort. Your boutique is likely the first and last part of the facility your guest will visit. Make sure it has a positive impact, makes guests feel welcome and entices them to purchase. Selecting your retail assortment is as important as menu development. Will the products sell? How do they relate to the services offered within the facility? Will my clients be interested in the products we carry? Those are just a few of the questions you will likely ask before purchasing products for your retail assortment. Let us help you. Whether you have just a question or two or, you need help for start to finish, we are ready to assist! There are a variety of amazing salon and spa software programs available to operators today. Many of them are very good. They give you tremendous opportunities including the ability for guests to book their own appointments, purchase gift cards on-line, send communications to employees and clients and more. Each of these systems, while strong in many areas, often times are weak in retail reporting. For this reason, an operator must be able to dissect the data and design reports that work for their individual needs. Large salon and spa operators often have a full-time individual in charge of retail procurement. This person places orders, enters items into the system, selects the assortments, re-orders and monitors selling. Most small salon and spa operators do not have that luxury. For this reason, making sure you understand how your software and its configuration can become a valuable tool is essential. We can help. Have you heard of Pareto’s Principle? Do you know that it’s likely that twenty percent of your items represent 70 to 80 percent of your sales? Let us evaluate your retail performance and teach you what to do going forward. We can take your data and re-compile to make your purchasing decisions much more informed. We are familiar with most salon and spa software. We can quickly help you to understand how to use the data to make informed decisions and how to take the data and compile into formats that work for you. Exporting Data functions on most software allows you manipulate the massive amounts of data.